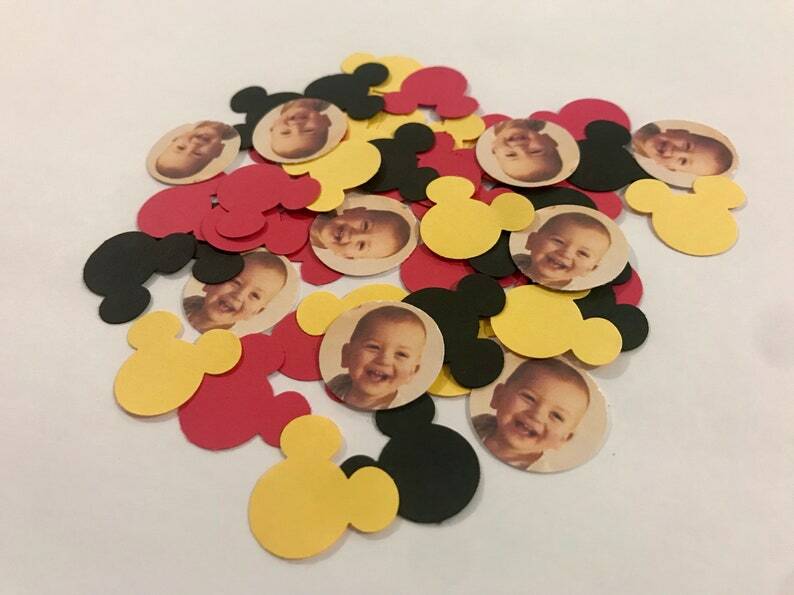 125 hand cut pieces of red, black and yellow Mickey Mouse confetti PLUS personalized photo confetti. 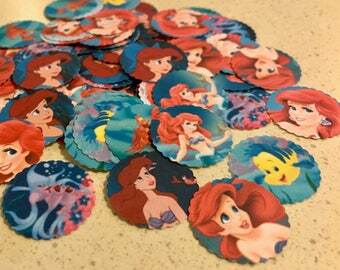 They are 1 inch in diameter. Back of the photo confetti is white. Message me if looking for something custom or different Mickey colors!